Lake Host Program - Granite Lake Association, Inc. 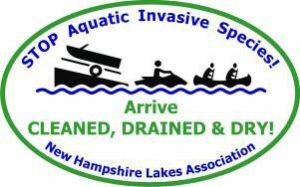 The Lake Host™ Program is a courtesy boat inspection program administered by NH LAKES in cooperation with local participating groups such as the Granite Lake Association to prevent the introduction and spread of aquatic invasive species, plants and animals, from waterbody to waterbody. Infestations of invasive species such as variable milfoil and Asian Clams in our waterbodies are undesirable because: they make recreation in and on the water dangerous and unpleasant; they disrupt the ecological balance of waterbodies; they reduce shoreline property values; and they are difficult and expensive to control. Since 2002, hundreds of paid and volunteer Lake Hosts have conducted more than 761,735 courtesy boat inspections and have made more than 1,515 ‘saves’ of aquatic invasive plant or animal specimens that were about to enter or had just left a waterbody.